Tourists are only encouraging a dubious Vietnamese tradition. A sales display of Vietnamese snake wine is likely meant to appeal to tourists, given the English-language labels on the bottles. When you walk along the streets or through the markets in any Viet­namese city or village, it is not un­usual to find rows upon rows of bot­tles of snake wine (known locally as ruou ran). Roadside stalls and age-old markets high up in the mountains, modern city supermarkets and shop­ping centers, traditional pharmacies and modern chemists all sell bottles of snake wine. So do airport gift shops, bars, cafés, hotels, and other outlets geared to tourists. 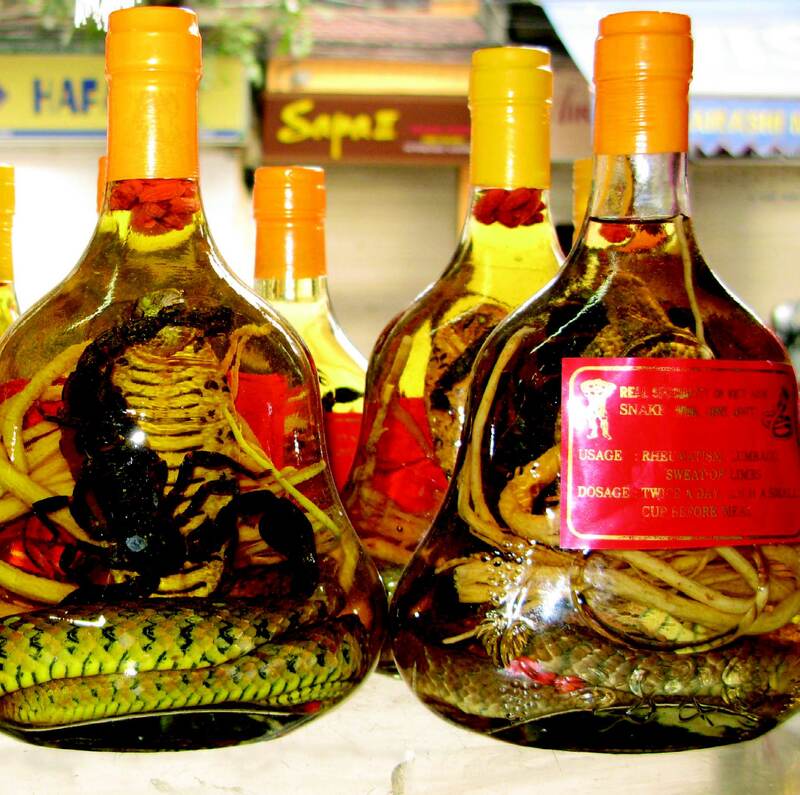 This drink, based on traditional Chinese medicine, is made by placing a snake into a bottle and pouring in rice wine (although reportedly ethanol or vinegar is sometimes used, and even toxic rub­bing alcohol or formaldehyde, which pose serious health risks). Scorpions and various herbs, such as ginseng, are often added for good measure. Snake wine is variously touted as a cure for “rheumatism,” arthritis, lumbago, leprosy, excessive sweat­ing, hair loss, dry skin, farsighted­ness, exhaustion, flu, fever, pain and migraines, and as a general all-round tonic. And because snakes symbolize “heat” and masculinity in Vietnam­ese culture, and are often associated with male potency, snake wine is also very popular and much coveted as a reputedly powerful aphrodisiac. Medicines extracted from local flora and fauna are often the only available remedies for many people who do not have access to indus­trialized drugs and medical care. And it is true that many traditional medicines have been shown to work well, and important modern drugs have been discovered from their use. But research is lacking on the clini­cal effectiveness (if any) of snake wine. Like the snake oil hawked by salesmen in the Wild West as a cure for every ailment, it almost certainly doesn’t live up to the vendor’s marketing hype. 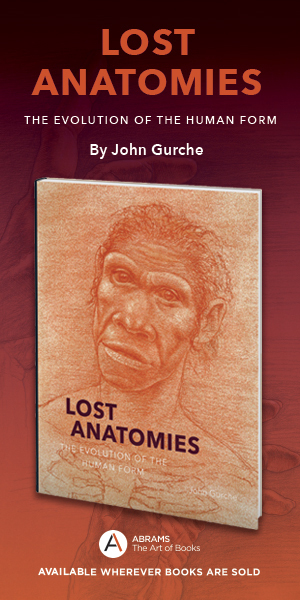 As it happens, some Chinese snake oil, made from water snakes that consume fish, is rich in a key omega-3 fatty acid, and so could have some anti-inflammatory ef­ficacy, either taken orally or applied as a liniment—that according to an analysis reported in 1989 by Rich­ard Kunin, a nutrition-oriented physician. More recently, at Japan’s National Food Research Institute, a team of scientists led by Nobuya Shirai fed oil from the black-band­ed sea krait to mice and found that it promoted swimming endurance in the mice, whereas lard or even fish oil did not. But to conclude from such tentative research that there is a health value to drinking snake wine—made from non-sea snakes to boot—is certainly a leap too far. The traditional assumption is that the value of snake wine as a remedy flows from the essence of the snake and the scorpion, and their venom­ous potency. The more venomous the creature, the more beneficial the treatment, since it is believed that the venom will dissolve in the liquor and add more medicinal value. But venom, which is made up predomi­nantly of protein, is denatured (loses its characteristic structure) in the presence of alcohol, which disrupts certain hydrogen bonds. And, in many cases, the snakes sold as highly venomous cobras are, in fact, non­lethal common keelbacks that have been stretched out of shape to resemble hooded cobras. Traditional medicine has often incor­porated animals—or animal parts and products—as cures for various ailments, and reptiles are among the most popular sources of ingredients. Throughout the world more than 165 different species of reptiles belonging to 30 families are used in the production of traditional folk medicines, and more than half of these are considered endangered spe­cies. Rômulo R. N. Alves, of the University of Paraíba, Brazil, who has studied the role of animal-derived remedies in Brazil, points out that at present there’s no way to tell how many of those exploited animals are wild-caught, what in every case their conservation status is, who uses the products, where exactly the animals are coming from, and whether the animal-derived remedies can be replaced with plant-based ones (without then putting plant species and their environments at risk). 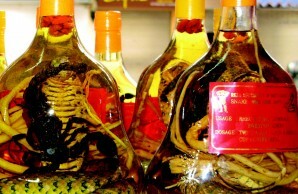 Will Duckworth, a member of the Species Survival Commission of the Inter­national Union for Conservation of Nature, feels the same situation exists for the snake wine trade in Vietnam. Alcoholic medicaments containing snakes have been used in dif­ferent sociocultural contexts across continents for centuries. The ancient Greeks used snake wine as a cure for retained placentas. In Brazil snakes are steeped in cachaça (fermented sugar cane juice) and sold in the markets for religious purposes and as a cure for impotence, insect bites, and rheumatism. And, a few years ago in the United States, a Texas purveyor of rattlesnakes soaked in bottles of vodka or tequila fell afoul of the law because he had no liquor license. But the practice is most common in Southeast Asia—Cambodia, China, Korea, Japan Laos, Thailand, and Vietnam. The snakes used in Asian snake wine come from both wild populations and snake farms, but no official statistics on their numbers exist, nor have any long-term studies been done on the effect the trade is having on the population dynam­ics of the various snake species in Vietnam. One short-term study, however, conducted by Ruchira and Nilusha Somaweera of the Univer­sity of Sydney, Australia, suggested that the active snake wine trade combined with a growing local population and an increase in tourism may ultimately make it difficult to maintain viable snake populations. That may become economically important, since farmers have already been complaining about a rise in the rat population and are fearful that the rice crops will suffer (Vietnam is the second largest exporter of rice in the world). Some reports suggest that part of the rise in rat numbers may be a result of the extermination of snake populations. As Ruchira and Nilusha Somaweera have observed concerning snake wine, “Although the tradition has existed for centuries in Asia, the trade is presumed to have grown at a startling rate since Southeast Asia opened its doors to the west and tourism has bloomed.” How much of the market depends on local communication and traditional users as opposed to export and tourist thrill-seeking is not known, but the prod­uct is easily available online (it has even been sold on eBay). Douglas Hendrie, an expert on wildlife trade with Education for Nature-Vietnam, notes that a large portion of the industry is legal, which makes it difficult to control in a decisive way. Many guidebooks suggest that snake wine drinking and/or purchasing is one of the must-have experiences while visiting Vietnam. They appear to promote the practice both as a chance to show off one’s bravado and as one way to get in touch with “real” Vietnamese culture. 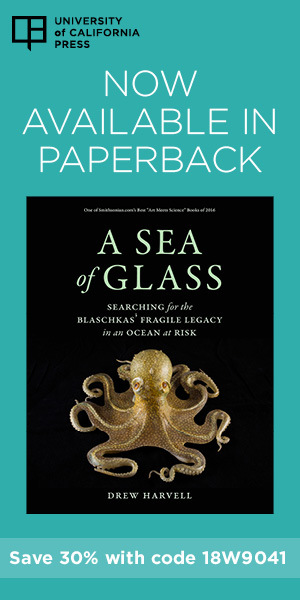 Unfortu­nately, the same guidebooks do not explain that many Vietnamese are trying to halt the eating of wildlife, and that the preparation of snake wine often involves extreme cruelty and the killing of endangered species.